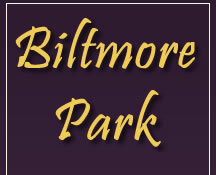 Per the city schedule, trash collection for Biltmore Park is on Thursday. Recycling is collected the same day as trash collection except it is collected bi-weekly. If collection day falls on Thanksgiving, Christmas or New Years Day, service will be suspended, pushing trash collection back one day. Place brush and/or bagged leaves at the curbside on the Monday (by 7:00 am) of brush collection week. Brush will removed by Thursday. Information regarding the collection and disposal of bulk items is also available on this website.